Note: What you will find here is the 9th Edition of the Solar Energy Resource Guide (SERG) published in 2013. 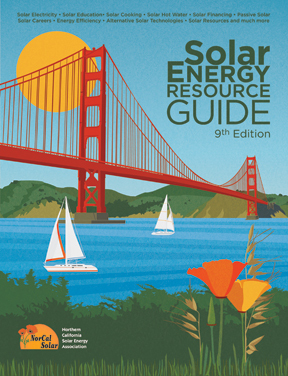 In the past, NorCal Solar released the SERG every year as a standalone publication, but now we try to put all new information on our website/blog on a rolling basis. However, there is still demand for the 9th Edition SERG, as many people find the articles relevant and valuable.